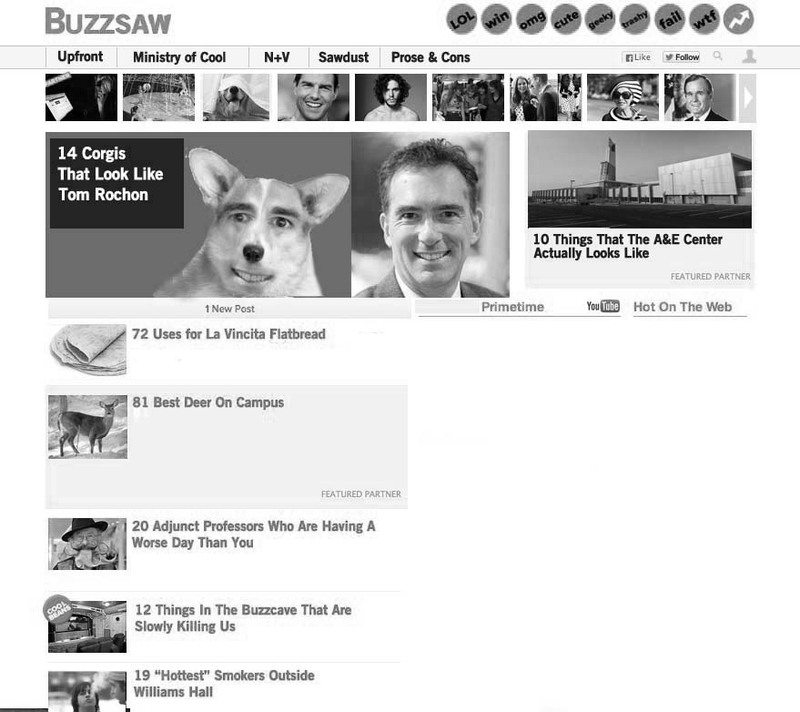 Home IssuesCircus	BUZZSAW ASKS WHY: Someone would ever mistake Buzzsaw for Buzzfeed? Ever? BUZZSAW ASKS WHY: Someone would ever mistake Buzzsaw for Buzzfeed? Ever? Sometime between ‘47 Reasons Why Joseph Gordon Levitt is the Perfect Man’ and ‘The Difference Between Freshman Year and Senior Year,’ I told a friend of mine I was an editor on Buzzsaw and they responded with, ‘oh is that part of Buzzfeed?’ Apparently, there’s a small portion of the Ithaca student population who, for God knows what reason, confuses Buzzsaw Magazine with the GIF-friendly Buzzfeed rather than the much less student publication. Perhaps it’s because we both have ‘Buzz’ in title (or have just as many people on the editorial staff). But if folks haven’t noticed by our physical print issues and lack of a presence on everyone’s News Feed, that sadly isn’t true.Just in case some fools are still confused, here is an example of what Buzzsaw would look like if it were in fact the viral site.